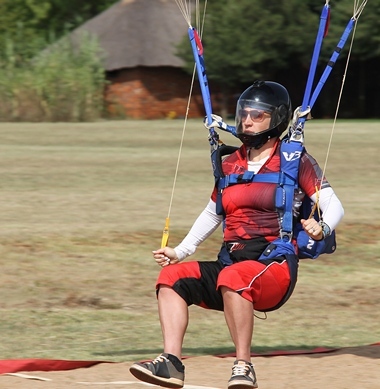 Pretoria Skydiving Club that was formed in 1963 this year celebrates its 52 anniversary is the oldest existing and permanent operating skydiving club in South Africa. 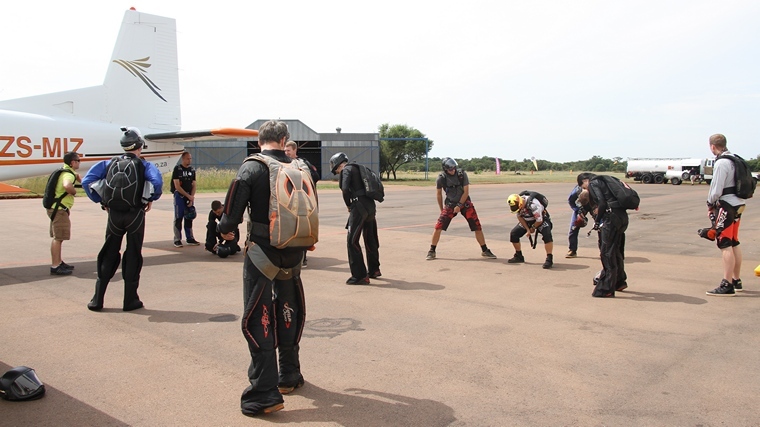 The club this year hosted the Canopy Piloting disciplines of the National Skydiving Championships. The balance of the competition will be held at Rustenburg the end of the month. 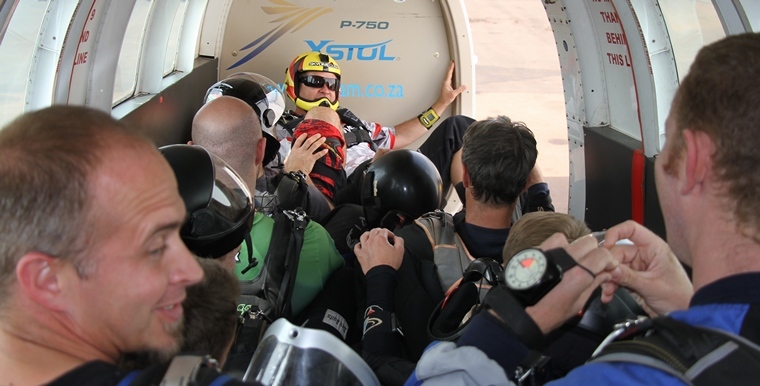 To become a high-performance canopy pilot, a competent skydiver must typically have at least 1000 jumps and start a 1-2 year training process to compete at the 'standard' level. 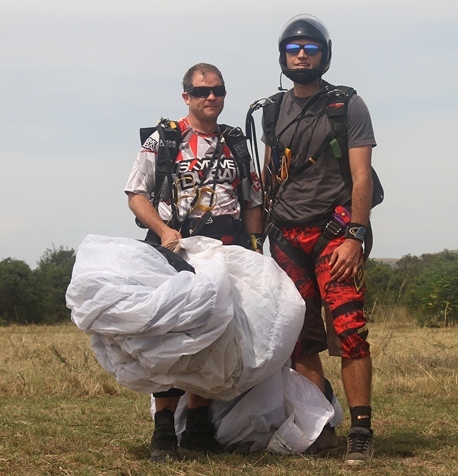 Professional levels take 2-4 years of dedicated training and some competitors reach over 10,000 jumps. 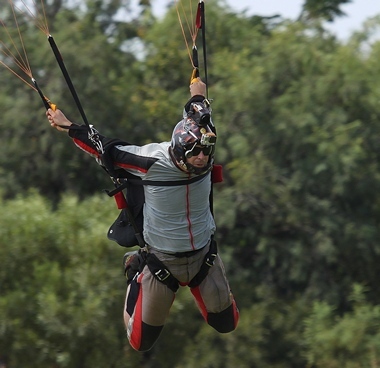 Canopy Piloting involves a series of tasks designed to test a parachutist's ability to control his canopy and fly accurately. 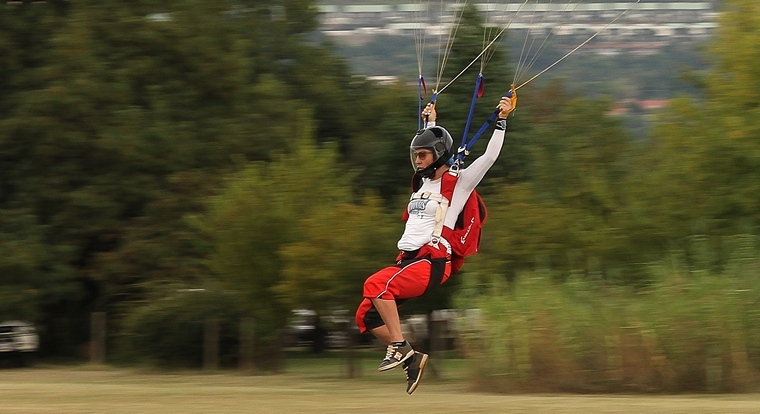 Each test starts with the parachutist navigating through a number of gates which are situated over water. 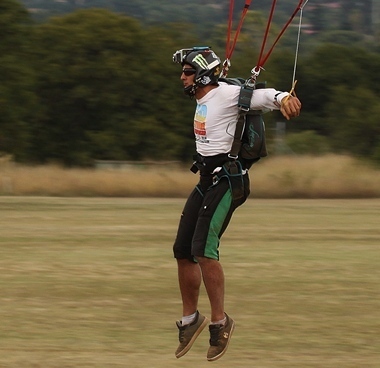 The parachutist has one of three goals, depending on the task; complete the course in the shortest time, therefore having the highest speed; complete the water section and then land on a target as accurately as possible; achieve the longest distance from the entry gate before touching down. For accuracy the pilot pass between the course markers and stay within the course to gain points. 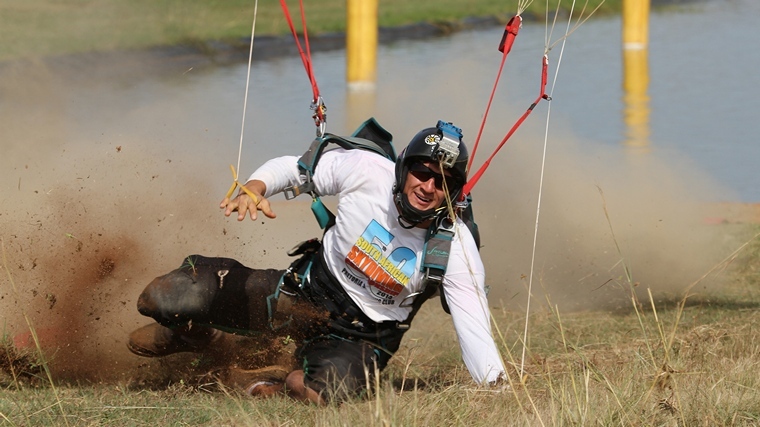 Extra 'gate' points are earned when a competitor drags a part of his body (usually his foot) through an imaginary line on the surface of the water between water gates. Penalties are awarded in the landing phase if the competitor falls over, or is not in the central zone with their first touch. In speed: the pilot pass between the course markers to start the speed run; the times is started by breaking an electronic beam across the course. The competitor's time is stopped as they break a second beam across the exit gate and their time is measured to the thousandth of a second. In distance the pilots pass between the course markets and remain within the boundaries of the course to obtain a score. The distance is measured from the entry gate to the first point of contact with the ground. To prevent serious injury swooping whilst competing in the above is done over a pond or a body of water. 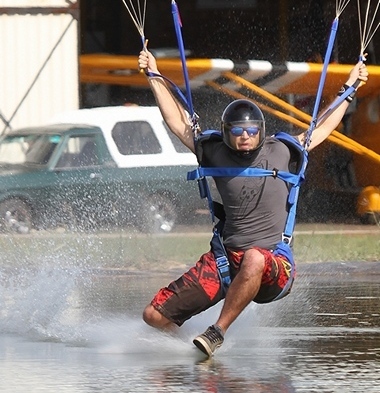 Swooping over water in front of the crowds has the added benefit offering excellent spectator appeal. 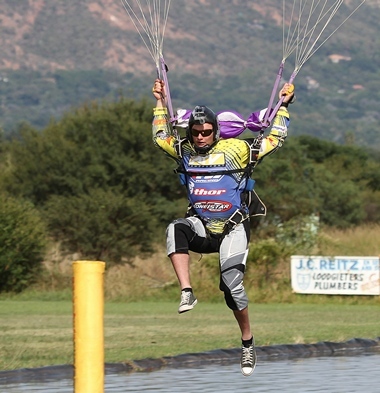 Despite all safety precautions accidents do happen and 39 year old Antonio Bianco who had more than 1,000 jumps turned to low and impacted the water. He sustained fatal injuries. RIP Antonio. 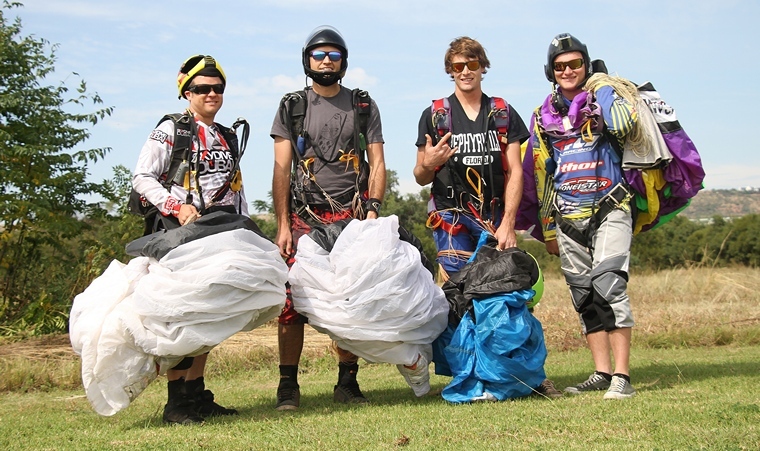 South Africa has produced Skydivers that has excelled on the international stage. Chris Teague is one of them. 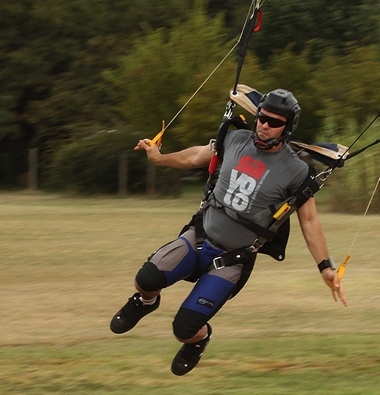 Chris has competed successfully in Skydive events worldwide as well as in the World Games held during 2013 in Columbia. Chris also took 3rd place in distance in the 2008 World Championships. 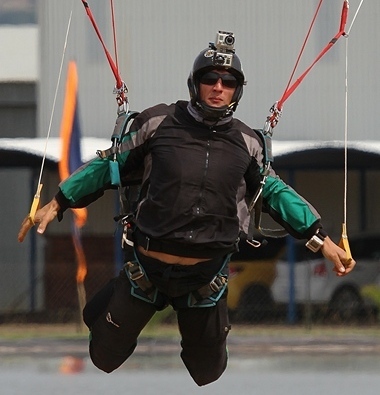 Dubai national William Sharman broke the World Record in Speed in 2013. 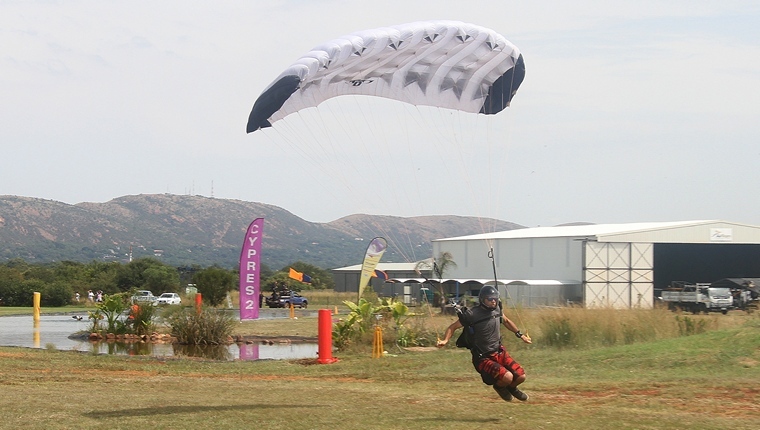 William was one of the competitors at Wonderboom. 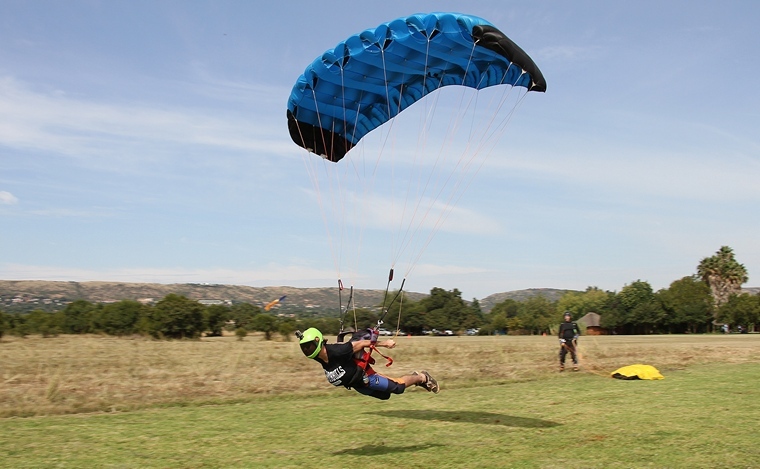 Pretoria Skydiving Club is now the proud owners of a PAC 750 XL and she operated continuously for the duration of the competition. The Intermediate distance discipline was won by Julie Teague, followed by Leith Welsford with De Wet Davel in third. De Wet Davel was placed first in accuracy with Julie Teague second and Leith Welsford third. The overall intermediate winner was Julie Teague with De Wet Davel second, Leith Welsford third, Jaques Breedt fourth and Antonio Bianco fourth. In the open section JJ Wallice won the Accuracy Discipline followed by Chris Teague with Rob Kruger in third and Walter Hitchkock in fourth place. 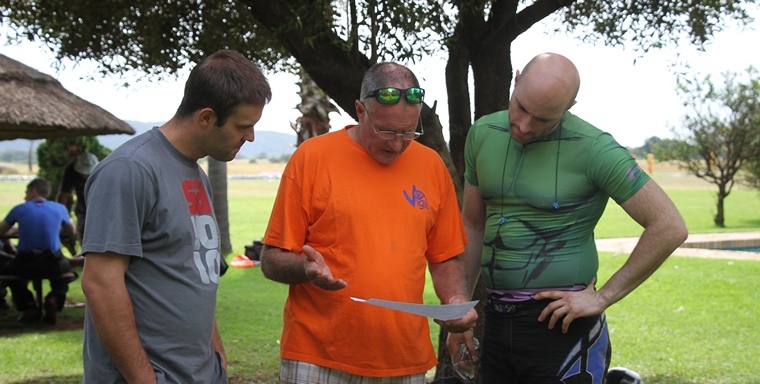 The distance competition winner was Chris Teague with JJ Wallice second, Rob Kruger third and Attie Fourie fourth. Chris Teague took first place in speed followed by Rob Kruger. JJ Wallice finished in third and Warren Hitchkock in fourth. 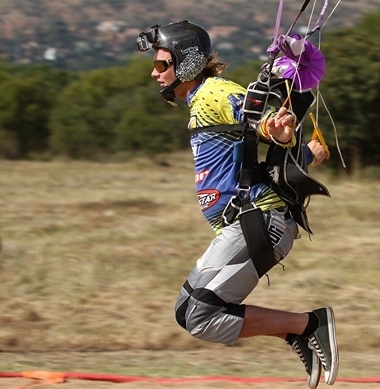 Chris Teague was the overall winner with JJ Wallace in second place, Rob Kruger in third, Warren Hitchkock finished in fourth, Attie Fourie fifth and Walter Prinsloo in sixth.